Now that HR 1349 has passed out of the House Committee on Natural Resources, the bill could be put before a “floor vote” in the House of Representatives at any time. When, or in what form, the bill might be voted upon is unknown. Give the speed and relative stealth by which this bill recently moved through committee, however, BCHA members must be prepared to reach out to their representatives at a moment’s notice. BCHA is monitoring the situation and will alert members once we learn the potential date of a floor vote. Yet there is nothing stopping members from reaching out to their representative at this time to demonstrate their views on HR 1349. Information on how you can contact your representative in Congress can be found here. Ask to speak with your representative’s Legislative Assistant (LA) for natural resources- or public lands-related issues. Develop a relationship with the LA by speaking with them or leaving a message each week. Make sure they know you represent a broader BCH state or chapter, and tell them about the great things you do as a volunteer to keep trails open for everyone. The timing of a floor vote would have to be approved by the House leadership. HR 1349 could be voted on as a stand-alone bill or, more likely, it could be packaged with other public land bills or must-pass legislation. Given that amending the Wilderness Act is known by all involved to be highly controversial—the Act has never been amended throughout the Act’s 53-year history—a floor vote on HR 1349 will most likely be bundled with other, less controversial or even potentially beneficial, public lands legislation. Doing so would provide some “cover” for legislators who don’t want to be viewed as voting to undermine the Wilderness Act. Don’t let them fool you. A vote to undermine the Wilderness Act is still a vote to undermine the Wilderness Act, even if your representative claims they intend to vote in favor of another bill in the package. We also are on the lookout for introduction of a Senate “companion bill” to HR 1349. 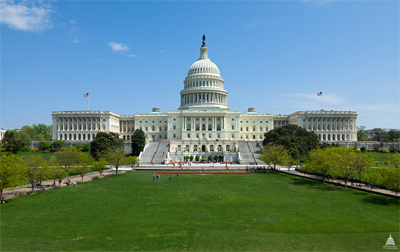 Given that legislation must be passed by both the House and Senate before it goes to the President’s desk for signature, a companion bill could be introduced at any time by anti-Wilderness Senator(s) or, alternatively, should the House pass HR 1349 the bill would automatically be sent to the Senate for consideration. Consequently, it would be wise to reach out to your senators to let them know your feelings about HR 1349. Contact information for your U.S. senators can be found here. BCHA continues to work in partnership with a number of regional and national organizations to prevent HR 1349 from being enacted into law. These partners include The Wilderness Society, American Horse Council, Pacific Crest Trail Association, Appalachian Trail Conservancy, American Hiking Society and the National Wilderness Stewardship Alliance. The International Mountain Bicycling Association has publicly stated its opposition to HR 1349. In addition, hundreds of organizations have signed onto letters stating their opposition to HR 1349. HR 1349 was introduced on behalf of two small, Johnny-come-lately organizations that neither understand nor respect the origins and the intent of the 1964 Wilderness Act. They believe the Act should be “modernized” to let mountain bikes have legal access to the last remaining 2.7% of lands in the continental U.S. that are designated as Wilderness. By insisting that “mechanized forms of travel” be allowed in Wilderness (the original purpose of HR 1349), they naively claim that Congress will not try to further pry open the door and insert other damaging provisions into the Act.